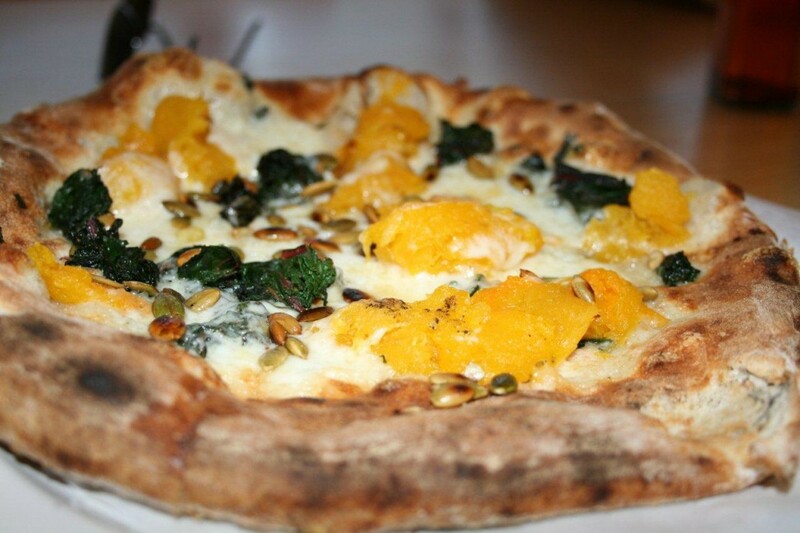 This Pumpkin Pepita Pizza from Pitfire (Let’s hear it for the P’s!) is like that snobby, overacheiving kid at school. No one really likes him but you sometimes feign interest so you can cheat off his paper. This kid was just ok. And a little sweet. Like a dessert pizza at the Shakey’s Buffet. Only a little pricier and not covered in cinnamon cherry streusel! The crust was phenomenal and I just knew if I picked better toppings, I would have scored. I wanted to like this pizza, it sounded so fancy. The problem with fancy, is it often just doesn’t work. Sometimes you just want a $1.50 dog from Costco. Can I get an amen?? I need to stop reading your blog when I’m hungry. Regardless of the lukewarm review, that pizza looks amazing. You should seriously consider going into food photography, my friend.